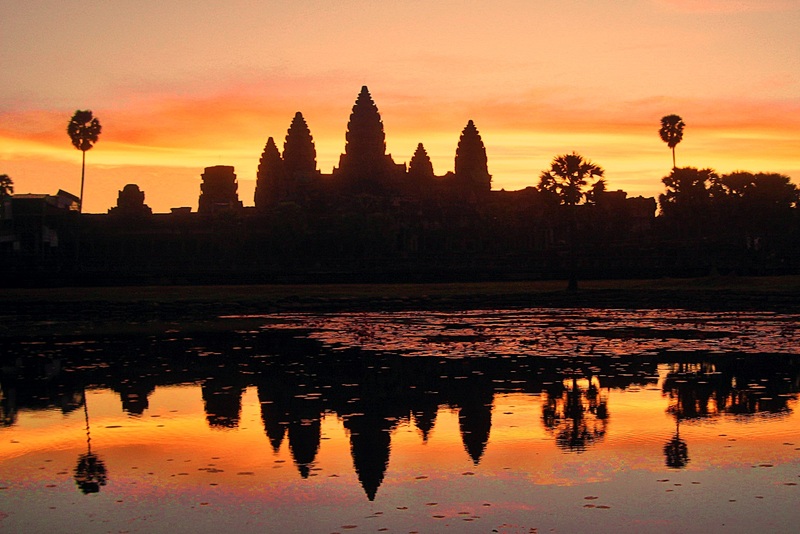 Siem Reap is an up and coming town in the northwest of Cambodia and is home to the famous Angkor Wat temple. This was built in the 12th century and is a UNESCO World Heritage site (and rightly so)! 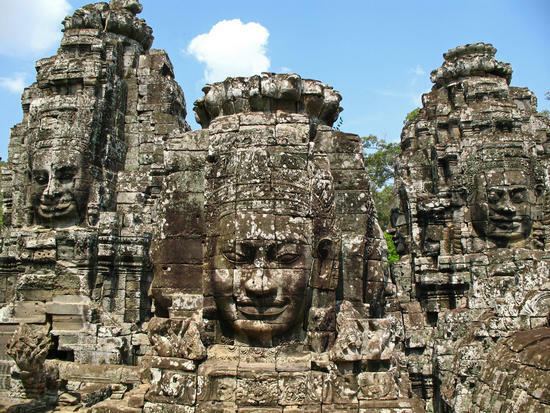 Angkor Wat is situated in the Angkor region which features many other famous temples, including Bayon temple, which has humongous carved faces protruding out of each wall, and Preah Khan temples, which looks like something out of Harry Potter. 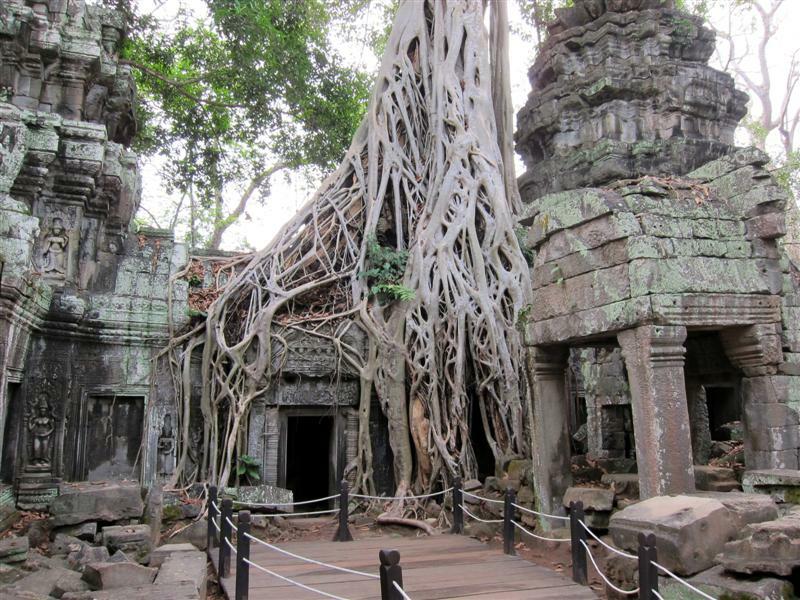 It has huge tree roots consuming and taking over the temple from all sides. You can take either a day trip from Siem Reap and see the three most popular, temples or a 3 day tour of the entire region including many others. Head to Angkor Wat for sunrise (along with every other tourist) to see the reflection of the temple in the lake in front; it is absolutely breathtaking and worth the early rise! This entry was posted in Cambodia and tagged Angkor Wat, Cambodia, Siem Reap, temple. Bookmark the permalink. Reblogged this on SE Asia Travel and Stuff.